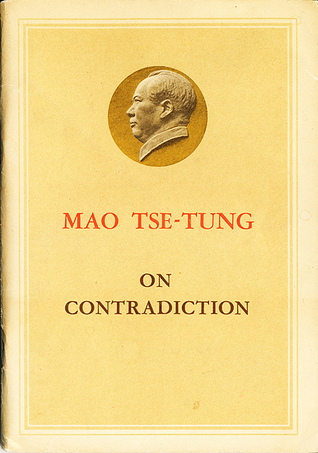 The other day, I read through Mao Zedong’s essay “On Contradiction” in the course of researching for a paper. Mao has said that life is a result of contradiction and I believe the present Chinese leadership is certainly proving this in its approach towards the Tibetan issue. Some months back we had the practical reality of the Chinese authorities not providing visas to foreigners wishing to visit Tibet, corroborated by travel agencies who reported receiving instructions to that effect. Of course, that was to avoid “incidents” during a “sensitive” period. But seeing how that has taken the air out of Chinese desire to project an image of normalcy in Tibet, there is a new narrative coming from Beijing accusing the foreign media of “making distorted reports and misleading the whole world.”An article in an official Chinese news site on Tibet had this to say, “”We’d call on the Western press to speak with evidence instead of misleading the international tourists who are longing to travel to Tibet, especially in the peak season.” The new narrative is that there has been no ban on foreigners’ traveling to Tibet at all. This is a case of the Chinese authorities contradicting themselves in order to fit their current narrative on Tibet. Yet another contradictory issue is about the historic and historical appointment of a Caucasian American as the abbot of a Tibetan monastery that has been re-established in south India. Although the Chinese leadership swears by socialism, equality, etc., yet they contradicted this by showing their innate racist tendencies on the appointment of this American as an abbot. In an article on China’s official website titled, “Why does Dalai Lama appoint Nicholas Vreeland head of Rato Monastery?” the writer is condescending about Ven. Vreeland. There is no attempt by the Chinese side to appreciate the many years of rigorous studies that Ven. Vreeland has undergone in the institutions set up by the Tibetan exile community. Above all, do the Chinese authorities not know that historically, foreigners — be it Ladakhis, Mongols or even Chinese — have been appointed to various positions in the Tibetan monastic institutions? Had there been a free media in China I would not see any additional implication of this article, other than being the views of a private individual. However, everything in China has to have official sanction, particularly on an sensitive issue like Tibet. Even though the authorities are projecting this theme park as an economic development project, the political agenda is quite clear if one looks at what it will exhibit. Is it not clear to the Chinese authorities that what the Tibetans need at this point of time is an assurance that their life, dignity and freedom will be respected and not another project that will only heighten their fear psychosis? May be the Chinese officials are too blind to see their contradictions. We certainly live in a world of contradictions, at least Chinese contradictions on Tibet!